What do emojis and goal setting have in common? In Carrie Howell’s advisory class at Mount Rainier High School in Des Moines on a recent Tuesday morning, students used emojis as a relatable way to visualize their goals. One student selected a hamburger to represent her goal to try foods from all over. A few students selected the airplane, illustrating their desires to travel. Another student picked a basketball because he wants to make the varsity team. “The emoji exercise helps students connect more than filling out a worksheet,” Howell said of the activity to get students thinking about their aspirations. 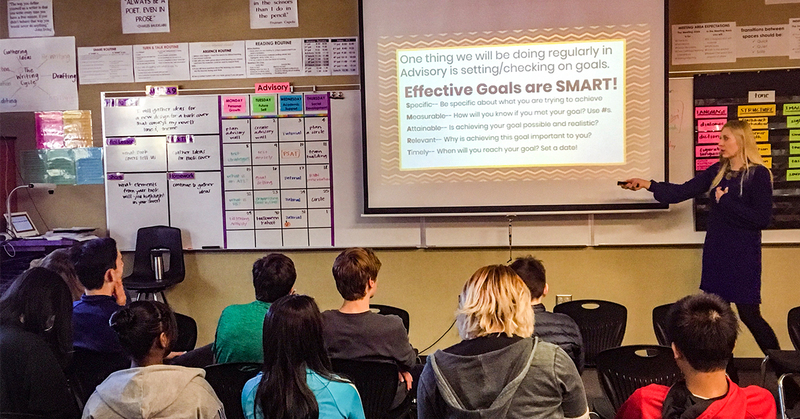 As the class of ninth graders — who are about a month into their high school experiences — moved through the lesson, Howell encouraged students to use the SMART goal technique for both their academic and personal goals (SMART is an acronym for specific, measurable, achievable, relevant, and time bound). She shared that the class would check in on goal progress every few weeks. 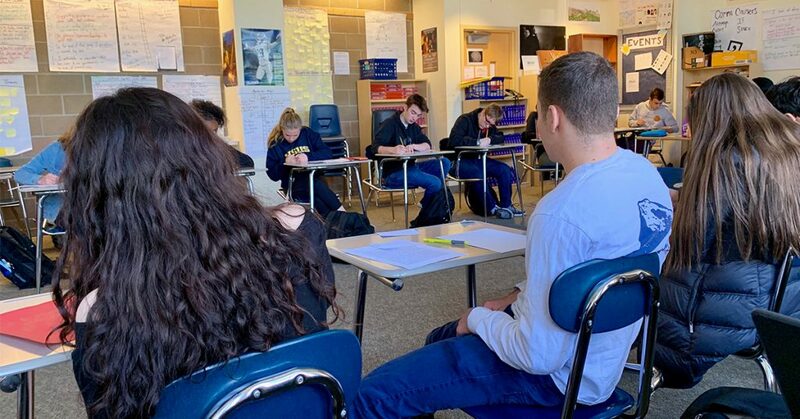 At Mount Rainier, advisory is a carefully planned 20-minute period that happens Monday through Thursday as a time for students to work on academic, social, and career pathway planning issues. Howell is part of advisory committee, which means she designs lessons that are meaningful to students at each grade level. 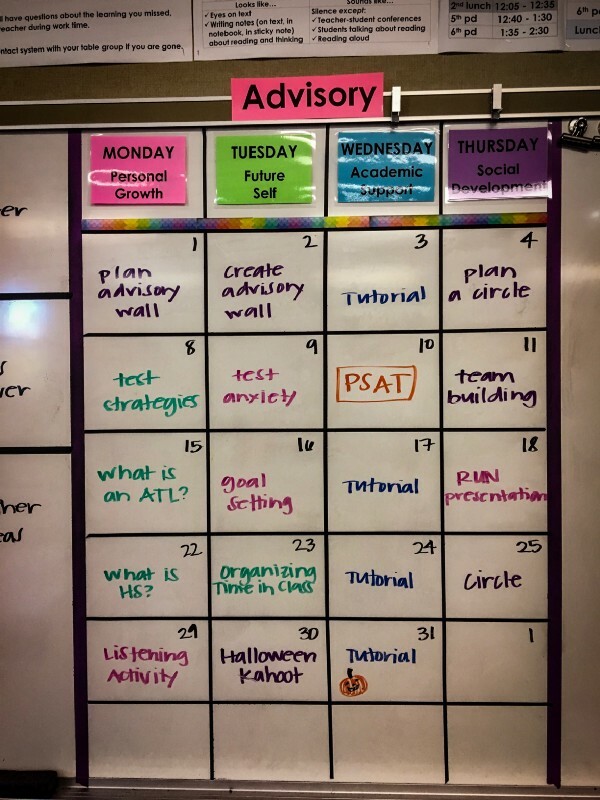 In Howell’s classroom, a calendar on the wall lays out what students will be working on each advisory class in one of four areas — personal growth, future self, academic support, and social development. One of the upcoming lessons will focus on the High School and Beyond Plan, including how to read and understand transcripts. The students in Howell’s advisory class are also in her English classes. This is by design — to enable stronger relationships between students and their teachers. “Advisory class is like a school family,” Howell said, noting the importance of strong relationships, particularly in a school with 1,600 students. Toward the end of the class period, students worked on their academic goals for the coming weeks, including a review of their grades in each class. One student said her goals were to complete her homework, and to practice her Spanish and math skills. Since Howell receives regular grade and attendance reports for each of her advisory students, she will be able to offer individual follow up to support students in meeting their academic goals. Thank you to Carrie Howell and her students for inviting us into her classroom! Howell national board-certified English language arts teacher. Follow her on Twitter at @carriehows. Additional thanks to Highline Schools!